December 4 2012: On the request of Eric Carey Director of Bahamas National Trust, Ocean Crest Alliance’s, Joseph Ierna Jr., was invited to attend a luncheon meeting aboard the Shedd Aquarium Research Vessel, Coral Reef II. The discussion was in relation to the largest conservation Initiative planned to date by the BNT with respect to a specific species; in this case the “strombus gigas” or as we all know it the Queen Conch; that lovely white seafood that is an “Icon” of the Bahamas, and an essential part of the countries economy. All present agree on the urgent need to continue studies and to pass new policy; concerning conch and the harvesting of the species in a sustainable manner. OCA did speak on the merits of developing sustainable programs and the use of MPA’s, with a strong emphasis on education and enforcement, utilizing the best science, technology and today’s modern media outlets — Inspiring “creative conservation” solutions. “We must engage the local Bahamian people, the local fishing and business sectors, in all aspects of conservation and research that take place in their waters. This is their ocean, their resources, and it is up to them to preserve the Bahamian way of life”. Could you imagine the Bahamas with NO CONCH! All present, who were meeting Joseph (OCA) for the first time listened with great interest and had several questions and suggestions about the newly proposed OCA Long Island facility and the Long Island MPA. Shedd looks forward to being active as a participating partner of the projects in and around Long Island and to utilizing the OCA Long Island Facility. The Southern Bahamas is an area Shedd and their partners intend to concentrate on, in the coming years; and the OCA facility is a welcome and needed solution to the issues they experience, associated with working in remote regions such as the Southern Bahamas. With increasing local and global pressures threatening the health of marine environments, Marine Protected Area (MPA) enforcement is becoming more challenging and more important. In an effort to ensure more successful and effective MPAs in the future, earlier this week, representatives from over 36 countries converged in San Francisco. In a one-of-a-kind conference, MPA managers, conservation organizations and those committed to sustainable development all came together for the 2012 WildAid Global MPA Enforcement Conference. Weak legal framework, poor surveillance capacity, and limited or insufficient budgets are just a few of the ongoing challenges that make proper everyday protection of marine areas difficult. With increasing local and global challenges threatening marine ecosystems the role of government leaders and marine managers is progressively difficult. Convening in a single location, individuals from around the world collaborated, offering lessons learned and best practices on marine management and protection enforcement. In addition, industry leaders such as Google, Insitu, and Liquid Robotics presented new advances maritime surveillance and mapping technologies. As conference-goers depart from San Francisco, the hope is that they will be taking with them new appreciation, ideas, and knowledge on how to achieve more successful protection of marine environments going forward. All went very well at the meeting and all fully support OCA ,our project, the OCA facility and the programs we have assembled. To get the project started, Joseph Ierna Jr of OCA, has generously pledged acreage of land towrads the project, to build the home of OCA/BNT headquarters, and are presently designing and developing this new research facility for the property. Phase 1 of the Facility will accommodate a fleet of 4 small craft, a single ASV’s, a BNT Island Science Director/PhD and 4 BNT Park Wardens, administration and facility operations staff provided by OCA; 2 – 1 bedroom cottages, 1 – 2 bedroom Residence, a workshop/office building. Phase 2 will accommodate 3 additional 1 bedroom cottages and a 4 bedroom Main gathering Residence; there is also in the discussion a purpose built research vessel dedicated specifically to Bahamas projects, maybe in the 80′ to 100′ size. See the attached Maps in our Projects section (Bahamas) showing the layout/boundaries of the NP and the locations (red dots) of each wardens location, and their specific boundaries. The Red Star denotes the OCA/BNT Research Facility Headquarters. Others committed and engaged at some level with the process and the project are, Dr. Sylvia Earl (Sealliance/Mission Blue), Sean Meehan (NOAA -Habitat Restoration Division), Dr. Bob Hueter (Mote Marine Laboratories) and Jenifer Austin Foulkes (Google Ocean). This project is to serve as a model for other areas of the Bahamas (and the world) to emulate and to help reach the goal of 20% of the world’s Oceans to be MPA’S. Within our project we have some game changing programs that include, but not limited to, the utilization of Autonomous Vehicles (surface and underwater) for Data collection/surveying/3d imaging/mapping; the utilization of DNA for enforcement; and the collection and assembly of this Data to be assembled and offered to all members of the scientific community and the general public. As the Prince Khalid Bin Sultan the founder of the Living Oceans Foundation states, “Science without Borders”; we want to exemplify his phrase in our actions and operations. Joseph Ierna Jr has been busy on Long Island this week. Here, an excerpt from his adventures. Stay tuned for update! The Director of Bahamas National Trust (BNT), Eric Carey flew in to spend the day and learn more about our proposed MPA for Long Island. (See OCA- Projects/Bahamas – Marine National Park (MPA). This is to be a National Park designed and operated in a collaboration between OCA and the BNT. Joe shared his vision and plans for developing, establishing and operations of the MPA, along with the building of a research facility on Long Island. OCA is interested in learning more about the entire Habitat of the area and the to study the ocean and land food web as a whole, and will build the facility to support these efforts. They toured the island and discussed some of the research that has been done by others in the area, in particular with Nassau Grouper by Dr. Craig Dahlgren through the Perry Institute of Maine Sciences. Joe looks to develop a first class research facility for researchers, scientists, and film producers to utilize, to better understand the surrounding ecosystem. OCA looks to provide a leadership role on conserving the mangroves and surrounding shore areas as a rookery for baby fish, the future life for the Long Island Banks and the designated MPA. In fact, Joe, the Guy Harvey Ocean Foundation and the PEW Trust worked together to support the Bahamas Shark initiative in 2011, in effort to protect these apex creatures. In the evening Eric, Nicola, Joe, the Pratt Family, Franck Vieljeux and friends prepared and enjoyed together, a local meal at the Pratt home; to further discuss the proposed marine park and the events of the day. All had a wonderful time!! Eric departed the beautiful Long Island land and seascape with great vision of our future together and the plans for Long Island, and how our efforts will lead to a more secure future for the National Parks of the Bahamas and the creatures who live there. 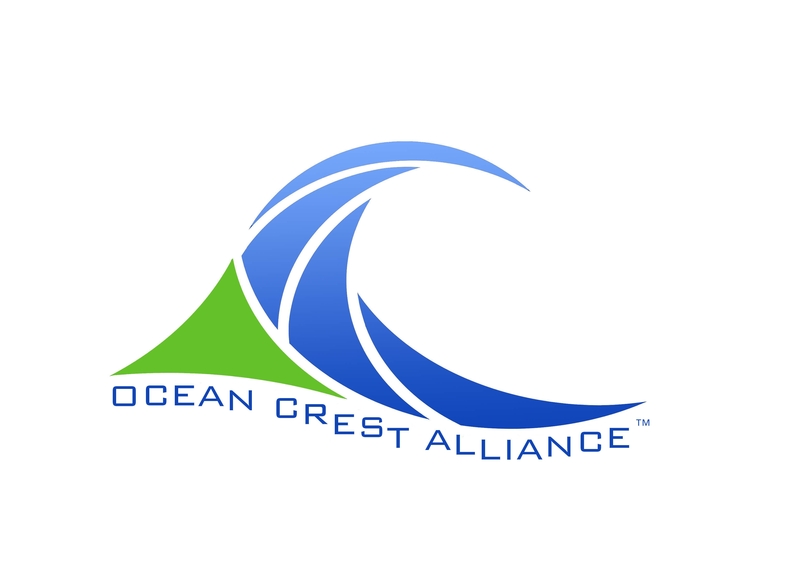 OCEAN CREST ALLIANCE – To host “first of it’s kind” Kids Stand Up Paddleboard event in St. Petersburg, Florida. “Planet Ocean” is an international documentary that takes viewers on a unique journey into the heart of the least known region of our planet — the ocean. The film is set to premiere today at the United Nations Conference on Sustainable Development in Rio de Janeiro, Brazil. A 58 foot sailing boat, called the “Tell Tales” grounded on the reef in the Conception Island National Park, Bahamas on May 1, 2012. Ocean Crest Alliance was contacted by the Bahamas National Trust to conduct an initial assessment visit to the site, which was preformed on 8th May, 2012. Based on the OCA initial report; The BEST Commission and BNT provided their initial site visit on the 11th May, 2012 while the boat was still on the reef. The vessel was removed by Overseas Salvage Company on May 17, 2012. The week of May 15, 2012, BNT organized an expedition to conduct an assessment of damage to the reef with the support of OCA and Joseph Ierna and partnering agencies including the BEST Commission and The Nature Conservancy. On May 21, 2012 Krista Sherman (BNT), Stacy Lubin-Gray (BEST Commission) and Ancilleno Davis (TNC) traveled to Stella Maris, Long Island en route to Conception Island National Park to conduct an impact assessment of the coral reef following the removal of the Tell Tales. The team was met by Joseph Ierna (Ocean Crest Alliance), Capt. Marvin Cartwright and Capt. Duncan Love at the Stella Maris Marina, Long Island Bahamas. Due to the prompt and professional response of all agencies involved the removal of the vessel was a great success and the damage to the Conception Island National Park was held to a minimal. It is these types of efforts that make a difference, —- which OCA will continue to support!